I’ve been looking for a FLAC rip of this CD for quite a while, but the links I managed to find were all dead. Your blog is a little treasure to me, I really appreciate your efforts. 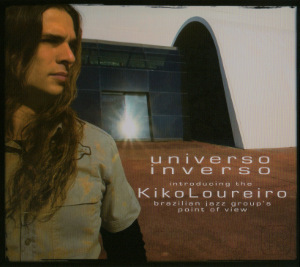 Thanks a lot for both Kiko Loureiro‘s albums, the guy is a great f***ing guitar virtuoso! Thanks again, can you upload ARK‘s self-titled album? I, too, have “Universo inverso” on CD. It was the best album I bought in 2007, simply fantastic. Waiting for Kiko to release another album in this style. Kiko Loureiro is a great guitar virtuoso, thank you. Hey -21grams, do you know Edu Ardanuy? He is the guitarist of the Brazilian band Dr. Sin, and his solo album “Electric nightmare” is amazing! Thanks for the high quality rips! Unfortunately the links to the FLAC files are broken, can you re-upload them? Thanks, I’ve been looking for this album for a while and was not able to buy it anywhere at a reasonable price (i.e. not as an import). Right after the end of the download, it says there is an “Encryption Problem” and I can’t get it. Just gave it a go using Firefox v19.0 in conjunction with iMEGA v0.2.20 extension. Problem confirmed, although the actual message is “Decryption error”. The archive was most likely corrupted at some stage => Removing and re-uploading. Has it ever occurred to you again? Do me a favour and try some other random MEGA links from the blog (I have currently 95 GB of material stored, it won’t be hard to find one) and report back. Thanks for re-uploading the CD. Mega.co.nz is very fast. Hi, I listened this CD but didn’t like it that much. Hmmm… And the piano player, well, all I can say is that there are moments when piano ruins the songs. Sounds like an amateur piano player to me (just my opinion). Can you re-upload this one?